The University of Cincinnati is a public research university in Cincinnati, Ohio. Founded in 1819 as Cincinnati College, it is the oldest institution of higher education in Cincinnati and has an annual enrollment of over 44,000 students, making it the second largest university in Ohio. It is part of the University System of Ohio. Paramount Pictures Corporation is an American film studio based in Hollywood, California, that has been a subsidiary of the American media conglomerate Viacom since 1994. Paramount is the fifth oldest surviving film studio in the world, the second oldest in the United States, and the sole member of the "Big Five" film studios still located in the Los Angeles neighborhood of Hollywood. Bowman eventually made his film debut in I Met Him in Paris (1937) for Paramount. He worked at that studio for a while, then RKO before moving to MGM. I Met Him in Paris is a 1937 film made by Paramount Pictures, directed by Wesley Ruggles, written by Claude Binyon, and starring Claudette Colbert, Melvyn Douglas, and Robert Young. The lack of leading men in World War II was a boost to Bowman's career and he co-starred with Rita Hayworth in Cover Girl and Jean Arthur in The Impatient Years . According to a film writer at the time, "his Hollywood career has not been spectacular but has gained him a large following." He was signed by Columbia Pictures. Rita Hayworth was an American actress and dancer. She achieved fame during the 1940s as one of the era's top stars, appearing in a total of 61 films over 37 years. The press coined the term "The Love Goddess" to describe Hayworth after she had become the most glamorous screen idol of the 1940s. She was the top pin-up girl for GIs during World War II. 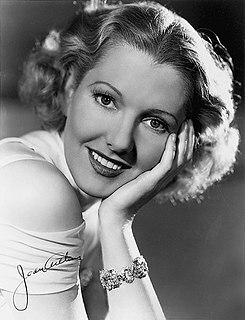 Jean Arthur was an American actress and a film star of the 1930s and 1940s. The Impatient Years was a hit and Bowman was described in late 1944 as "now a very hot commodity in Hollywood." However, he never quite progressed beyond supporting female stars and his status as a leading man faded. 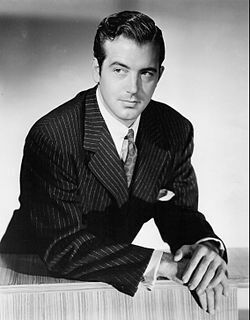 Bowman was a much in-demand radio actor, and also worked on Broadway. 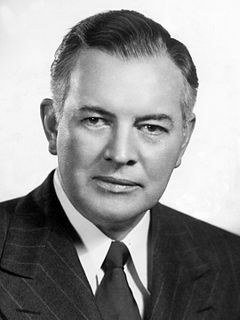 After making his TV debut in The Silver Theatre in 1950,  he appeared regularly on television including several guest appearances in the television series Robert Montgomery Presents and Playhouse 90 . The Silver Theatre is a television series that was broadcast on the CBS television network from 1949 to 1950. Hosted by Conrad Nagel, it was a liveanthology series consisting of dramatic teleplays about romance. It was sponsored by the International Silver Company. Per an episode on the Internet Archive the series ran 25 minutes excluding commercials. There were a total of thirty-nine episodes. Robert Montgomery Presents is an American dramatic television series which was produced by NBC from January 30, 1950, until June 24, 1957. The live show had several sponsors during its seven-year run, and the title was altered to feature the sponsor, usually Lucky Strike cigarettes, for example, Robert Montgomery Presents Your Lucky Strike Theater, ....The Johnson's Wax Program, and so on. 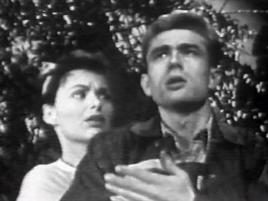 Playhouse 90 was an American television anthology drama series that aired on CBS from 1956 to 1960 for a total of 133 episodes. 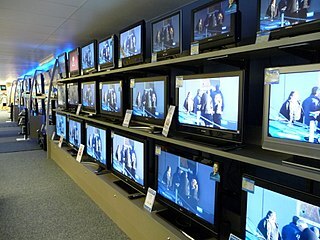 The show was produced at CBS Television City in Los Angeles, California. Since live anthology drama series of the mid-1950s usually were hour-long shows, the title highlighted the network's intention to present something unusual: a weekly series of hour-and-a-half-long dramas rather than 60-minute plays. Bowman hosted the short-lived game show What's Going On? on ABC in late 1954. He was the first television Ellery Queen. He died from a heart attack in Brentwood, Los Angeles, California, on Christmas Day 1979, three days before his 65th birthday. Creighton Tull Chaney, known by his stage name Lon Chaney Jr., was an American actor known for playing Larry Talbot in the film The Wolf Man (1941) and its various crossovers, Count Alucard, Frankenstein's monster in The Ghost of Frankenstein (1942), the Mummy in three pictures, and various other roles in many Universal horror films. He also portrayed Lennie Small in Of Mice and Men (1939) and supporting parts in dozens of mainstream movies. Originally referenced in films as Creighton Chaney, he was later credited as "Lon Chaney, Jr." in 1935, and after Man Made Monster (1941), beginning as early as The Wolf Man later that same year, he was almost always billed under his more famous father's name as Lon Chaney. Chaney had English, French, and Irish ancestry, and his career in movies and television spanned four decades, from 1931 to 1971. Walter Andrew Brennan was an American actor. He won the Academy Award for Best Supporting Actor in 1936, 1938, and 1940, making him one of only three male actors to win three Academy Awards. Clara LouSheridan, known professionally as Ann Sheridan, was an American actress and singer. She worked regularly from 1934 to her death in 1967, first in film and later in television. Notable roles include San Quentin (1937) with Pat O'Brien and Humphrey Bogart, Angels with Dirty Faces (1938) with James Cagney and Bogart, They Drive by Night (1940) with George Raft and Bogart, The Man Who Came to Dinner (1942), Kings Row (1942) with Ronald Reagan, Nora Prentiss (1947) and I Was a Male War Bride (1949) with Cary Grant. Sidney Alderman Blackmer was an American actor who appeared in dozens of movies between 1914 and 1971, usually in major supporting roles. He was also a major Broadway performer. William Dennis Gargan was an American film, television and radio actor. He was the 5th recipient of the Screen Actors Guild Lifetime Achievement Award in 1967, and nominated for an Oscar as Best Supporting Actor in 1941 for his role as Joe in 'They Knew What They Wanted'. Charles Ellsworth Grapewin was an American vaudeville performer, circus performer, writer and a stage and silent and sound actor, and comedian who was best known for portraying Uncle Henry in Metro-Goldwyn-Mayer's The Wizard of Oz (1939) as well as Grandpa Joad in The Grapes of Wrath (1940), Jeeter Lester in Tobacco Road (1941) and California Joe in They Died With Their Boots On (1941). He usually portrayed elderly folksy-type characters in a rustic setting, in all appearing in over 100 films. George Montgomery was an American actor, painter, sculptor, furniture craftsman, and stuntman who is best remembered as an actor in Western film and television. James Craig was an American actor. He is best known for appearances in films like Kitty Foyle and The Devil and Daniel Webster, and his stint as a leading man at Metro-Goldwyn-Mayer in the 1940s where he appeared in films like The Human Comedy. Jonathan Hale was a Canadian-born film and television actor. Egon Brecher was an Austria-Hungary-born actor and director, who also served as the chief director of Vienna's Stadttheater, before entering the motion picture industry. Frank Marion Thomas, was an American character actor of stage, screen and television fame. He and his wife, actress Mona Bruns, both lived to 100 years old. He died the day before her 90th birthday; she died 11 years later. Their son was Frankie Thomas. 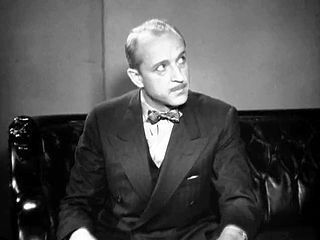 Charles Halton was a stern-faced American character actor who appeared in over 180 films. Theodore von Eltz was an American film actor. He appeared in more than 200 films between 1915 and 1957. He was the father of actress Lori March. Olaf Hytten was a Scottish actor. He appeared in more than 280 films between 1921 and 1955. He was born in Glasgow, Scotland, and died in Los Angeles, California from a heart attack. His interment was located in Santa Monica's Woodlawn Cemetery. Seton Ingersoll Miller was an American screenwriter and producer. During his career, he worked with many notable film directors such as Howard Hawks and Michael Curtiz. Miller received two Oscar nominations and won once for Best Screenplay for fantasy romantic comedy film Here Comes Mr. Jordan (1941) along with Sidney Buchman. 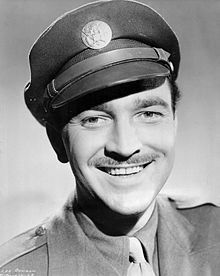 Walter Kingsford was a British stage, film and television actor. James Burke was an American film and television actor born in New York City. He made his stage debut in New York around 1912 and went to Hollywood in 1933. He made over 200 film appearances during his career between 1932 and 1964. He was often cast as a police officer, usually a none-too-bright one, such as his role as Sergeant Velie in Columbia Pictures' Ellery Queen crime dramas in the early 1940s. Burke can also be seen in The Maltese Falcon, At the Circus, Lone Star, and many other films. One of his memorable roles is his portrayal of a rowdy rancher in the 1935 comedy Ruggles of Red Gap. Joseph Crehan was an American film actor. He appeared in more than 300 films between 1916 and 1965, and notably played Ulysses S. Grant nine times between 1939 and 1958, most memorably in Union Pacific and They Died With Their Boots On. Gerald Oliver Smith was an English-born actor who spent most of his career in the United States, both in New York City as a stage actor and in the Hollywood film industry. 1 2 3 Lee Bowman, Actor; Was a Star in Movies And TV Ellery Queen: Did Serious Roles on Broadway New York Times (1923-Current file) [New York, N.Y] 28 Dec 1979: A20. 1 2 New Film for Jean Arthur Like 'More the Merrier' By Frank Daugherty Special to The Christian Science Monitor. The Christian Science Monitor (1908-Current file) [Boston, Mass] 21 Apr 1944: 5. ↑ A NICE GUY: This Co. B corporal may be eating K rations by now. But oh, the memory of that lunch with Lee Bowman in Hollywood SHER, CORPORAL JACK. Los Angeles Times (1923-Current File) [Los Angeles, Calif] 31 Dec 1944: E10. ↑ Aaker, Everett (2006). Encyclopedia of Early Television Crime Fighters. McFarland & Company, Inc. ISBN 978-0-7864-6409-8. P. 61. 1 2 Actor Lee Bowman Dies; Suave Star of Films, TV Los Angeles Times (1923-Current File) [Los Angeles, Calif] 31 Dec 1979: 10. ↑ Lee Bowman, Actor, to Coach G.O.P. Speakers on TV Style New York Times (1923-Current file) [New York, N.Y] 22 July 1969: 13. 1 2 It's the way you tell 'em, says speech guru: [1GB Edition] Oldfield, Claire. Sunday Times [London (UK)] 18 June 2000: 14. ↑ Kirby, Walter (November 30, 1952). "Better Radio Programs for the Week". The Decatur Daily Review. p. 48. Retrieved June 14, 2015– via Newspapers.com. ↑ Kirby, Walter (March 8, 1953). "Better Radio Programs for the Week". The Decatur Daily Review. p. 46. Retrieved June 23, 2015– via Newspapers.com. Wikimedia Commons has media related to Lee Bowman .